The United Kingdom; Great Britain; the British Isles; the Home Nations: such a wealth of different names implies uncertainty and contention - and an ability to invent and adjust. In a year that sees a Scottish referendum on independence, Linda Colley analyses some of the forces that have unified Britain in the past. She examines the mythology of Britishness, and how far - and why - it has faded. She discusses the Acts of Union with Wales, Scotland and Ireland, and their limitations, while scrutinizing England's own fractures. And she demonstrates how the UK has been shaped by movement: of British people to other countries and continents, and of people, ideas and influences arriving from elsewhere. 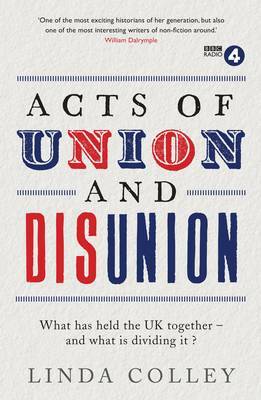 As acts of union and disunion again become increasingly relevant to our daily lives and politics, Colley considers how - if at all - the pieces might be put together anew, and what this might mean.